I recently finished the Overland Track in Tasmania, a 65-110km hike through a World Heritage Wilderness Area. I was shocked at the weight most people I met were carrying. 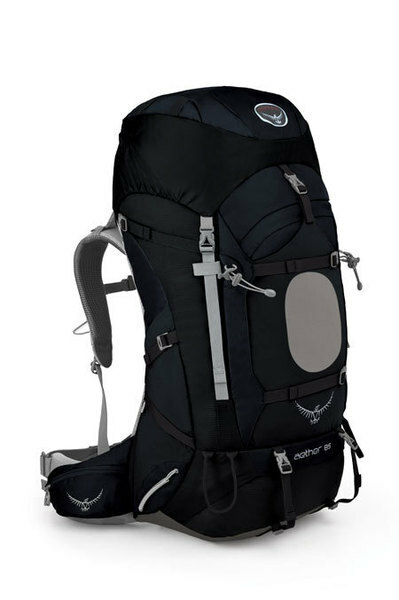 As a general rule of thumb, it’s a good idea to keep your pack to ¼ of your body weight, not to exceed 35lbs for a short hike- more if it’s a long hike, or if you’re an experienced hiker. Many people had packs weighing 25 kilos (a whopping 55lbs!) for just 5 days on the trail. And these weren’t only big men carrying this weight- I saw numerous fairly unfit women struggling under their enormous loads, too exhausted to do any of the beautiful side trails. In one group, the two men and two women each had 25 kilo packs, even though the men themselves were far larger than their ladies. They had way too much food, gear and luxury items (multiple bras, swimsuits, plates and bowls, two pairs of shoes each, enough food to sink a battleship…). They looked at my 16.5 kilo pack enviously (and I thought mine was heavy! ), and tried pawning snacks off on me. 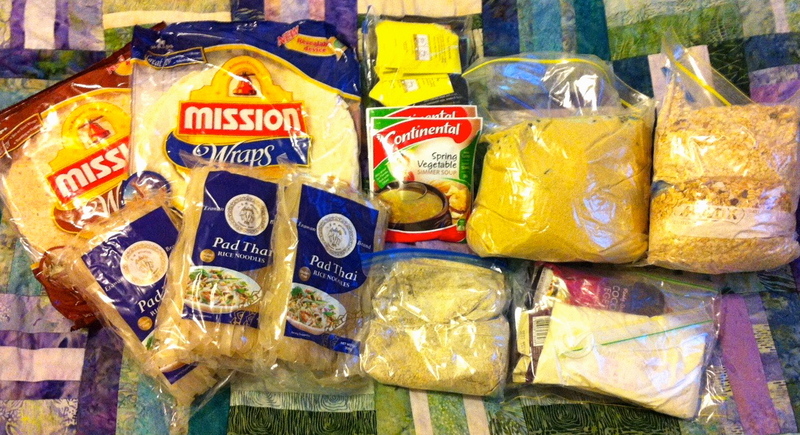 Here’s the food I packed for 8 days on the South Coast Track: 3 packs of rice noodles, couscous and dehydrated peas for 8 dinners, oatmeal and quinoa flakes with dried fruit for 8 mornings, falafel mix for 4 meals, dried milk powder, 16 tortillas, plenty of coffee and tea bags, two soup mixes, three coconut curry packets for couscous or noodles, spices/salt, olive oil. 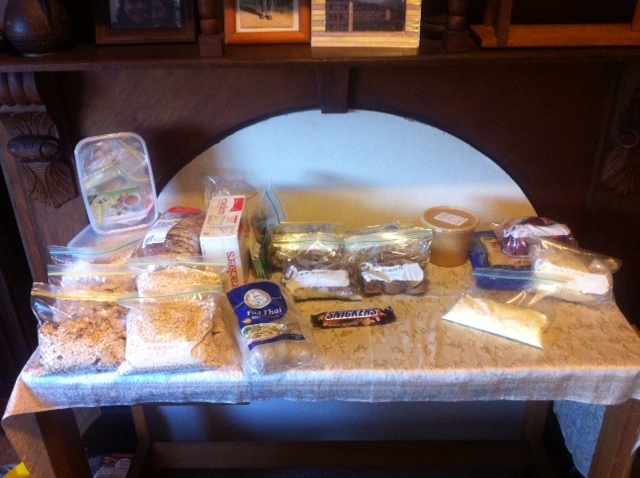 I included a big container of peanut butter, two bars of chocolate, banana chips, crackers and trailmix (not shown). 8 kilos total. Because the Overland was a relatively easy hike (for those not hiking the side trails to mountain summits, and even those weren’t too hard), you could probably do this hike with just a daypack if you were happy living very simply. Although I was satisfied with the amount of food I packed, Tom struggled with the lack of lunchtime snacks, but it should be noted he eats a lot more than most people and has a very high metabolism. 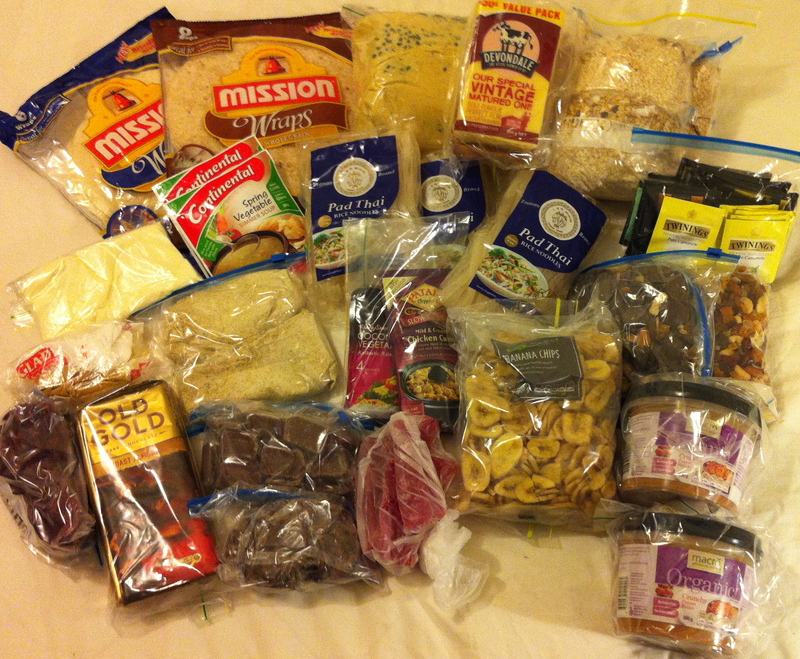 Above is a picture I took of the food I packed for the South Coast Track, which should take 7 days. I packed enough for 8-9 days in case we hang out on a beach or get stuck due to high water crossings. Here’s a list of food ideas and what I think are the necessities for hiking in non technical/snow/freezing conditions, as well as a list of ‘to consider’ items and luxuries. It’s important to take into account terrain, duration of hike, your specific needs, weather, and how remote you’ll be. I’m sure this isn’t a comprehensive list, so if I’ve missed something important, please post below!